If I have forgotten to credit anyone, please let me know! 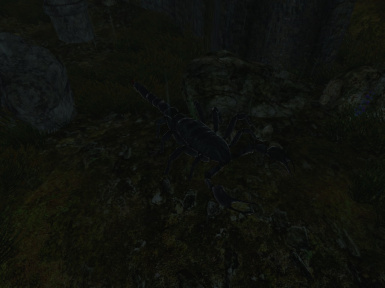 Welcome to the tenth installment of my Oblivion Immersion Series. This mod is born of a number of different inspirations. 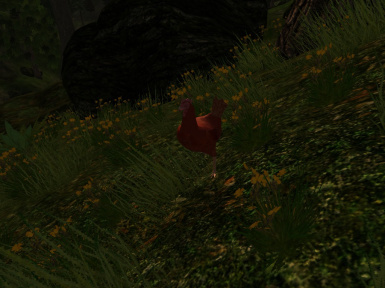 First, Cyrodiil has absolutely terrible ecological diversity. 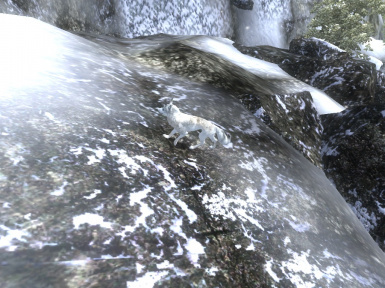 I mean, Skyrim shows a greater diversity of fauna than Cyrodiil does, and most of Skyrim is taiga forest, tundra, or alpine terrain. 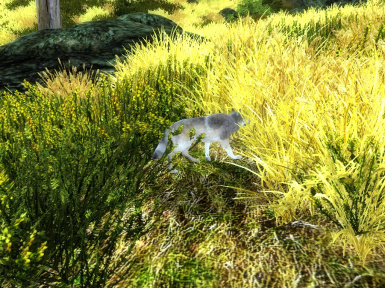 Other mods, like Creature Diversity, have addressed this problem before, but I've always wanted to add my own spin to it. 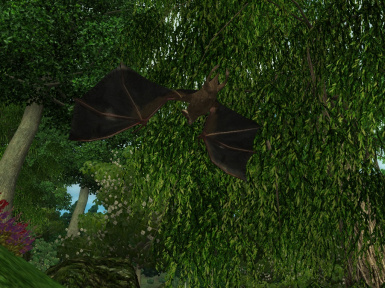 Second, with the recent flurry of tropical environment overhauls here on the Nexus, I thought it would be ideal to pitch in just a bit, especially since I haven't seen any other wildlife overhauls filling that niche. 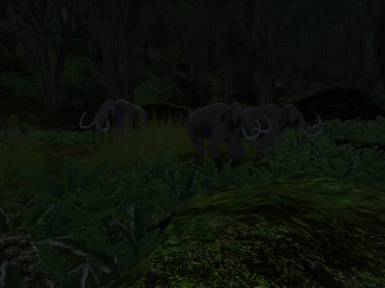 Third, hunting is rather bland in the vanilla game, so why not expand that too? 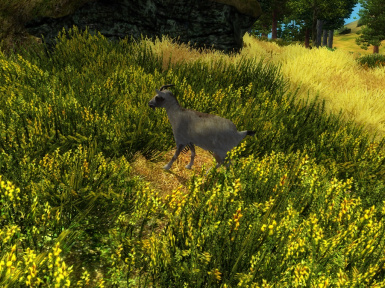 To this end, this mod adds a plethora of tropical wildlife and new animal-derived alchemy ingredients to the world of Cyrodiil. This is a beta release, not a full release, since I don't have the time or skill to beta test for everything by myself and there may be problems that I have not yet uncovered. 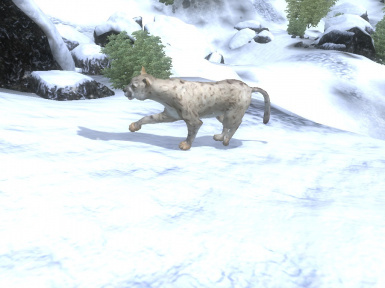 Last, the prices of the vanilla pelts and animal ingredients have been raised, to make hunting a more lucrative activity. Note that this mod may be used with the vanilla game just as easily. This mod's meshes and textures are stored in a BSA. Don't like it? Then unpack it. 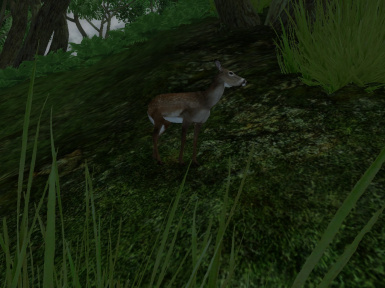 As of v1.2, a number of fixes were implemented. 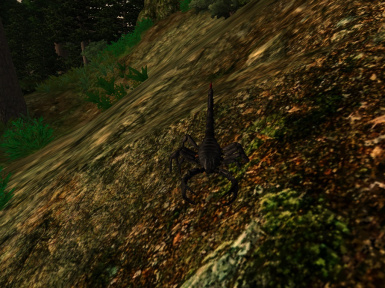 Hides and alchemy ingredients were added to goblins and horses, and the spiders and scorpions were resized. 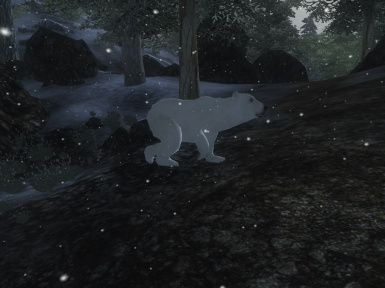 This mod extensively edits the leveled lists for animal spawning in Cyrodiil, so this mod will be incompatible with other mods that do the same, including Creature Diversity and overhaul mods such as OOO, MMM, and FCOM. 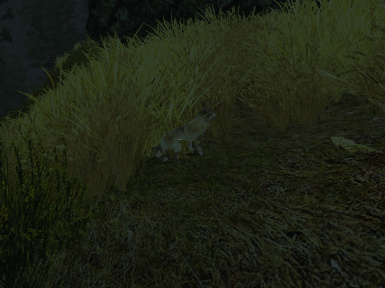 This mod is incompatible with Better Hunting, as both this mod and mine do many of the same things. 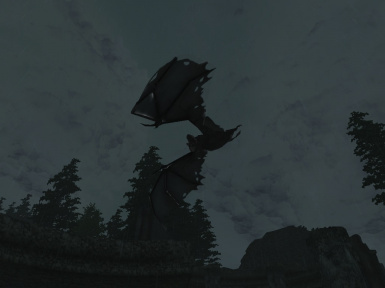 This mod will also be incompatible with mods that edit the leveled lists for alchemy ingredients and alchemy merchants. Make a patch with Wrye Bash if you want to use this mod alongside mods that make similar edits. This mod is at least partially compatible with Cloud Ruler Temple Alive and More Vegetables, both of which add new foods to the leveled lists for alchemy ingredients. HWE - Spider Free Edition is an alternative to v1.1. HWE - Spider Free Edition v1.2 is an alternative that contains the changes made for v1.2. 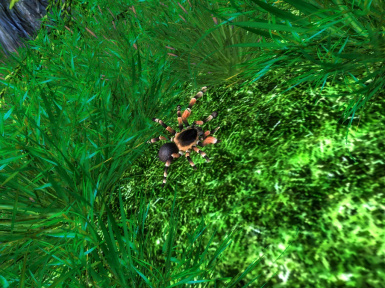 HWE - Arachnid Free Edition is an alternative to v1.2 that removes both spiders and scorpions. 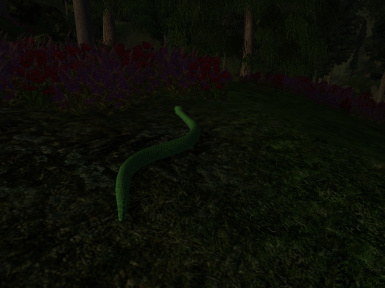 Use only one of these in place of the main version, if you don't want creepy crawlies in your game. 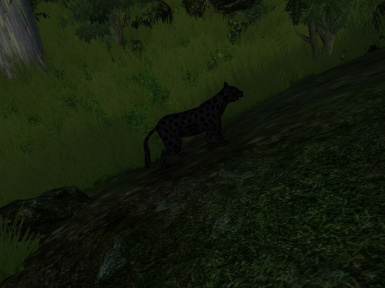 The alternative tiger and snowleopard and the dhole packs contain an alternative meshes or textures provided by elbethien. Some animals may appear in odd places on occasion. 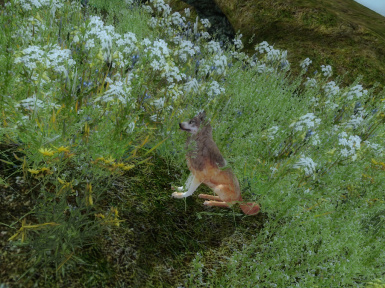 This is most likely due to the animals' wandering behaviors and to the fact that the in game bio-regions overlap quite a bit in game. 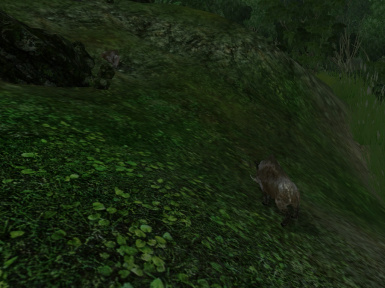 Second, a few of the animals that spawn south of Harlun's Watch spawn dead on arrival. 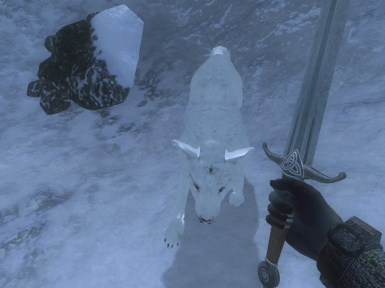 Last, many of the new pelts strangely become invisible when they are dropped from the inventory. To be clear, this is not a missing mesh or texture issue, as no purple "missing texture" colors or missing mesh icons appear. I have no idea what is causing either of these issues, and any feedback would be appreciated. The scorpions have an odd tendency to phase through the floor when killed; I have no idea what is causing this or how to solve it. Please report any bugs that you may uncover. I don't have the time or skill to beta test for everything. I do not take requests. Sorry, I don't. I am a casual modder who does not have the time or skill for additional projects. I also don't want to generate disappointment by promising something that I may fail to deliver. I don't make resources; I only use them.